What “life season” are you in? Like nature life has its seasons. Fall is a time of decline. Winter is a time of preparation. Spring is a time of blessing. Summer is a time of rest. Yet unlike nature the seasons of life do not last for a specified period of time. And believe it or not for those of us who have a relationship with Jesus each life season is a time of blessing. When we find ourselves in a time of difficulties (fall). The Lord prepares us to receive a blessing (winter). Once we’re prepared to receive the blessing the LORD gives us the blessing (spring). Once the blessing is received we begin a time of resting from the difficulty (summer) until the cycle of life begins again. However in spite of the 4 life seasons author Rebecca Van Noord adds, “In this life, we’ll go through dark times and struggles that may never end. We may even feel forgotten. But despite what we think or feel, we can’t abandon what we know to be true of God.” What is true of God? GOD’S PRESENCE IS THE GREATEST BLESSING. 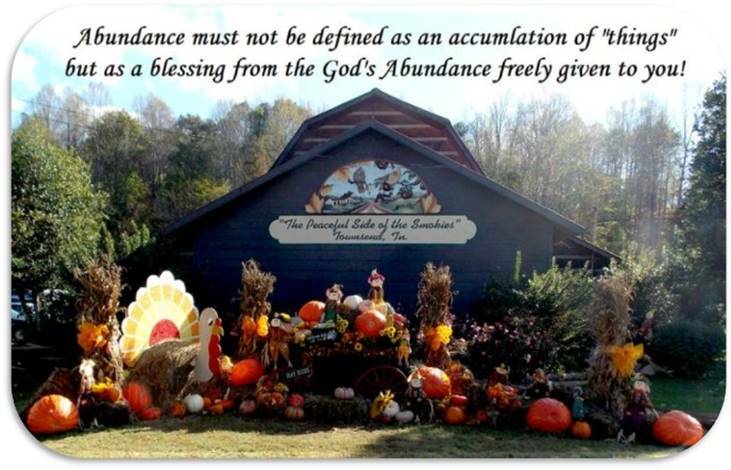 And where God is present there is not only blessings but also an abundancy of life as well.